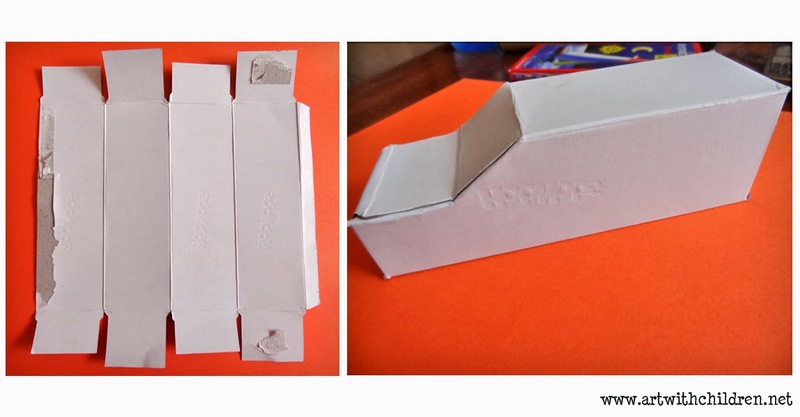 Here is an idea to turn an empty cookie carton/box into a car. We used McVitie's Hobnobs boxes. 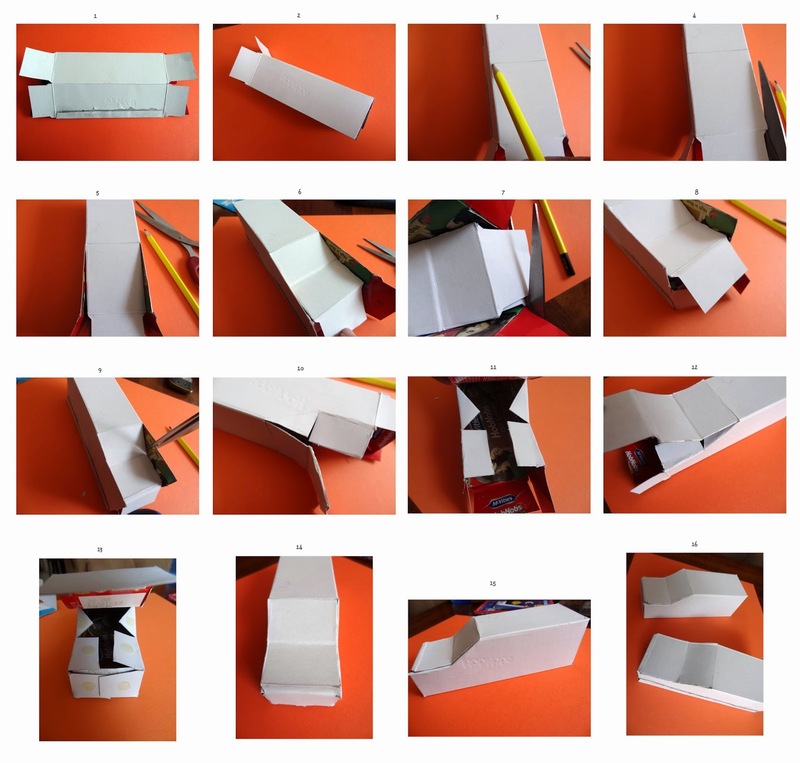 Any cardboard carton of the required size will do.The images below show the opened out carton and the base model it has to turn into. Here is how the base model was created. After the required cuts and folds glue drops were used to stick the box into the required shape. PVA glue can be used as well. 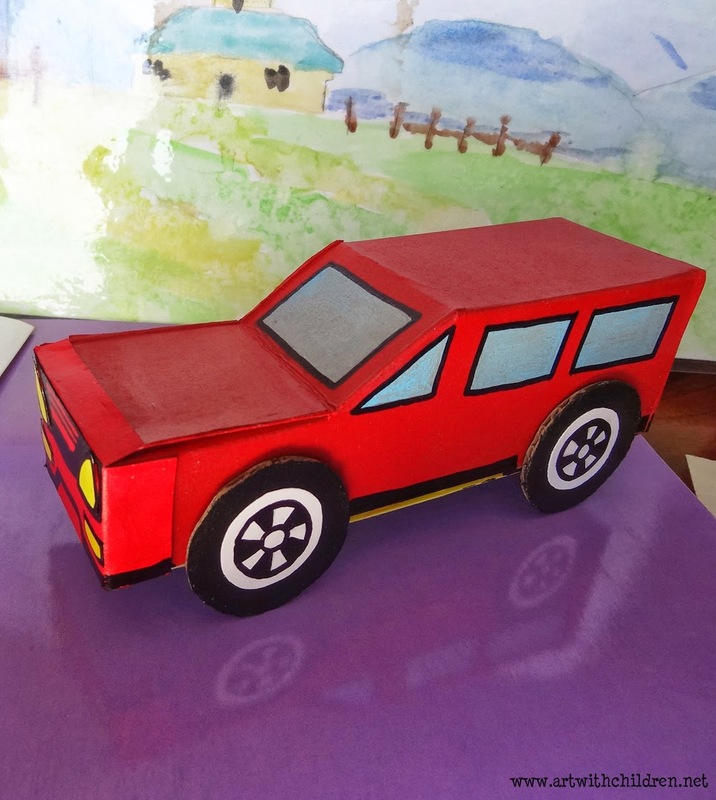 The body, windows and wheels were painted using basic acrylic paints. A white card stock/ thick paper was used to cut out the lights, number plate and alloys and the details were painted. 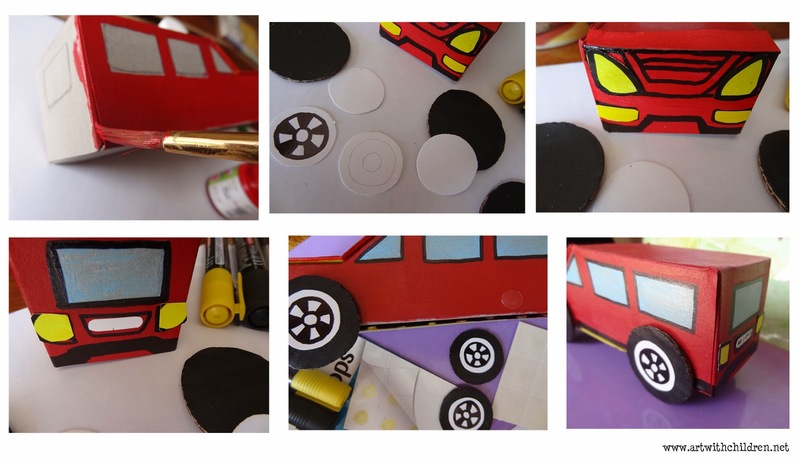 The car was left to dry and the required outlines were traced for extra details and a finished look! Thanks for viewing and enjoy creating! Do post your car on our FB page!